There’s nothing like kicking off the new year than a bit of metal to ruin your ears for the rest of it. 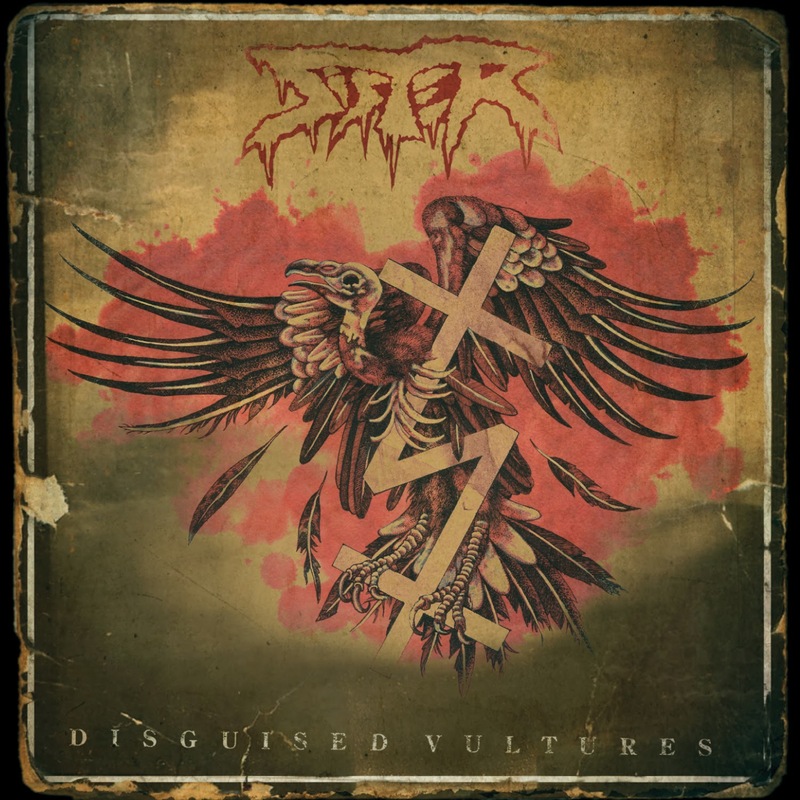 Disguised Vultures is the new album from Swedish quartet Sister, who perfected their sound on various tours for five years before the release of first album Hatedin 2011, so this is sure to be the first album to add to everybody’s Loved List 2014. My Enemy opens with an immediate barrage of ear-destroying sound made up of distorted guitars and crashing drums to provide an instant foundation of noise for the screeching vocals to become the jagged cherry on top. A brief pause allows the song to showcase a dirty bassline which teams up with a marching-band-like drumbeat to build up some hype for a guitar solo which could fill any arena should metal music make a triumphant return to the mainstream and keep everybody inside satisfied for months and months. This opening track is a steady mash up of guitar riffs, solos and drum beats that constantly keeps energy levels high and entertaining moments aplenty to create a great start to Disguised Vultures. Lead single Sickfeatures a guitar riff that leans towards the punk side of Sister’s sound, but the band make sure to pack it with the stable aggression and pinch harmonics that usually come from the metal side of things. This track is enjoyable from start to finish with a bundle of hooks thrown in to keep things neatly accessible for everyone to appreciate. This track also allows the listener to appreciate the songwriting talents of Sister, as their decision to tour for five years before recording their debut album clearly helped them perfect their craft. Naked is our personal highlight as it further proves how talented Sister are as they succeed in making a ballad that doesn’t take too much from their sound. The guitar riffs are drawn out to provide an extra touch of emotion alongside vocals which screech out even more passion than I thought was possible. There’s a little touch of melody performed too which eventually comes to a big finale fitting of this risky ballad, and there’s even a piano addition to close out what is easily the most ambitious song on Disguised Vultures. Sister brought together many different elements which usually stay well away from the metal genre but they made it work so well. For the people who did not enjoy the change in pace, they kick it right back up to insane levels of energy with DMN, which is crazy good too. It didn’t take long but we’ve already got ourselves an end of year contender for best album of 2014. Sister have practically made the fear of second-album-slump extinct with this phenomenal return to form in Disguised Vultures. There are so many excellent songs featured on this record that I fear for the next band that tries to compete with it. We’re certainly going to be playing this on repeat for the rest of the year.